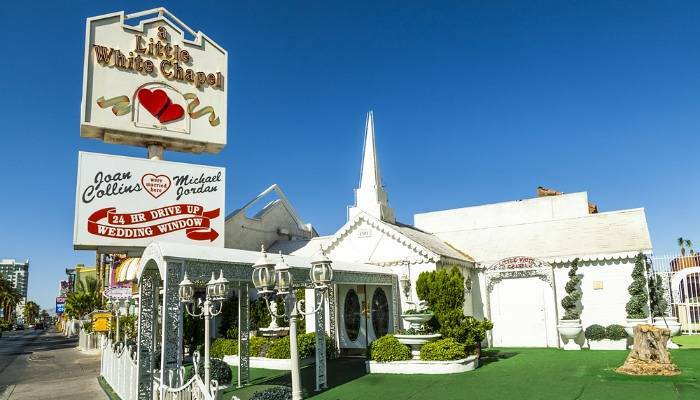 Known informally as the ‘Marriage Capital of the World’ – if we were to compare a Las Vegas marriage to a cake, it would be a slice of sponge cake (simple, easy to do) with glittery icing on top (enjoyable, showy and slightly tacky). 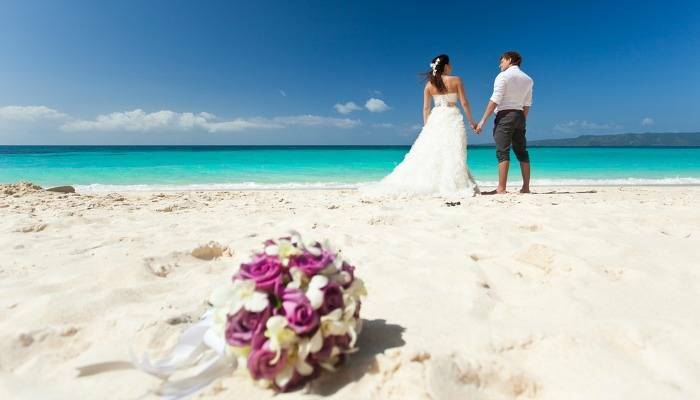 The warm waters and golden sands of the Caribbean make this part of the world an obvious choice when it comes to weddings – but they can be hard to do on a budget. We’ve found that Jamaica is often cheaper than many of the other islands and apart from its obvious beauty, it’s a great choice for reggae fans and those partial to a rum cocktail or two. If Jamaica sounds special to you then the Rockhouse Hotel in Negril is home to a wooden bridge suspended over a tranquil cove – a gorgeous spot to say your vowels! 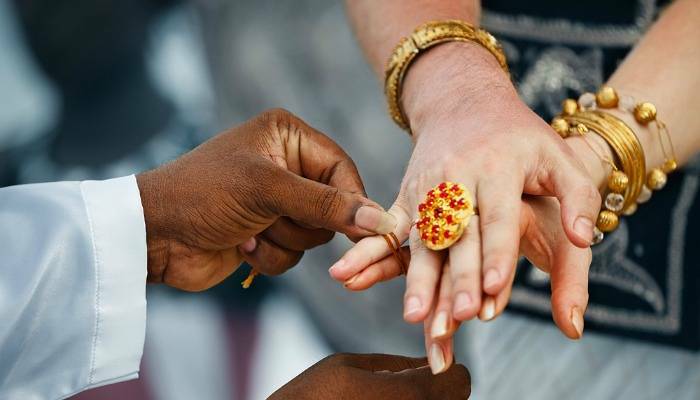 Cheaper than the Caribbean and offering that dreamy beach wedding, Sri Lanka is fast becoming a popular choice with would-be weddingers. If you want to stray away from the classic beach affair, then there are plenty of other packages on offer including a traditional Sri Lankan wedding – think headwear, lots of gold, drummers and dancers and the option to reach your destination via elephant (can be challenging in a wedding dress). Some wedding packages even offer the questionable option of hymns – ‘sung by virgins to symbolise purity’ – yes, really! What could be more romantic than getting married in the most, er ‘romantic’ city in the world? Most couples choose to wed in one of the plush hotels overlooking the Eiffel Tower. However, if you’re without a partner and have a passion for inanimate objects, then you could always follow in the footsteps of Erika La Tour Eiffel, who chose to ‘marry’ the Eiffel Tower in 2007. If you’re a fan of city life, the bright lights of New York make a great stage to get married. 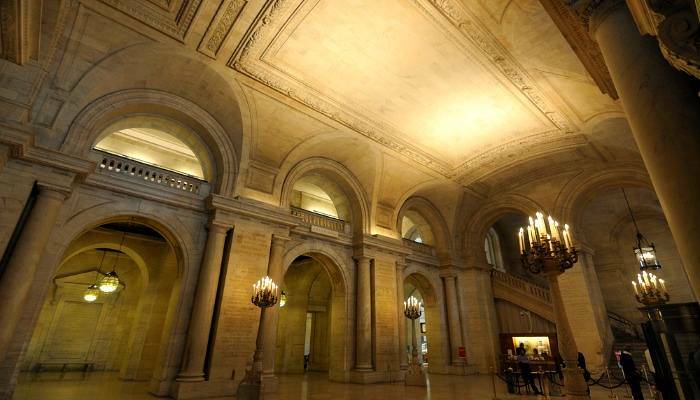 Take a leaf out of Carrie Bradshaw’s book (hopefully without the jilting part) and opt for a stylish affair at the New York Public Library. Other Popular locations include The Empire State Building, Central Park and Brooklyn Bridge. Love theme parks almost as much as you love your fiancé? Vienna’s got it sorted. 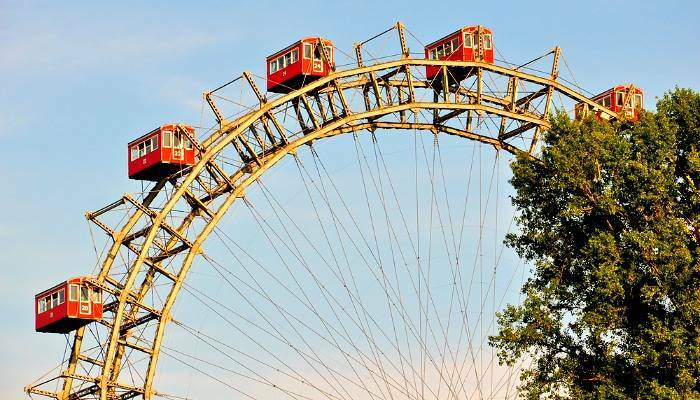 Head to the Prater Amusement Park and get married in one of private cabins on-board the Giant Ferris Wheel. You’ll enjoy fantastic views of the city from within a specially decked out ‘wedding car’, before enjoying a reception in the ‘cocktail car’ – hic! 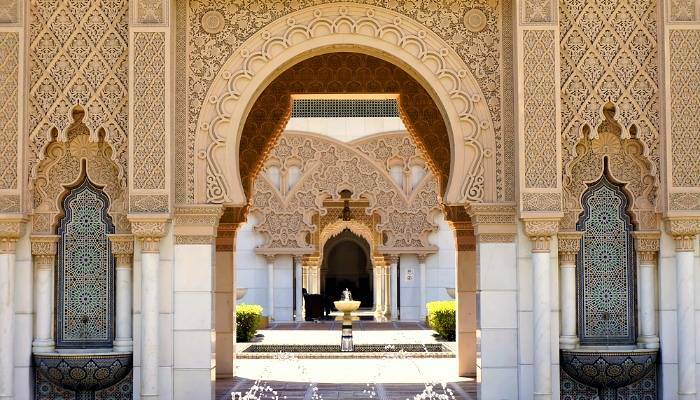 With stunning Moroccan architecture and intimate Riads, the city of Marrakech makes an exotic choice for a wedding. Go as traditional as you like – brides can wear a Handira wedding dress (a kind of furry throw) before being carried to the husband-to-be via a mule. 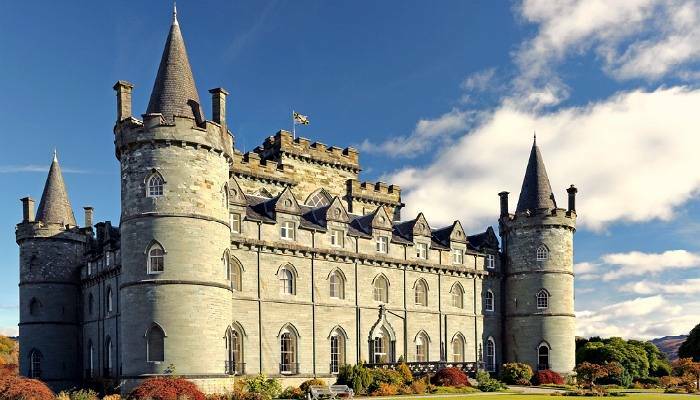 With pockets of dramatic scenery that includes mystical ruins, thick blue lakes and medieval castles, Scotland provides a great atmosphere for a wedding and with plenty of cheap flights available, it won’t break the bank either. Most couples go with a fairytale castle wedding – kilt and undergarments optional. With Virgin Galactic and Tokyo-based wedding company First Advantage rumoured to be excepting wedding bookings, the notion of an ‘outer-space’ ceremony is not light years away. One problem: you have to be mega rich! First Advantage weddings are said to cost from 1.4 million and Virgin Galactic space travel starts from £152,000 per person (without the wedding ceremony). 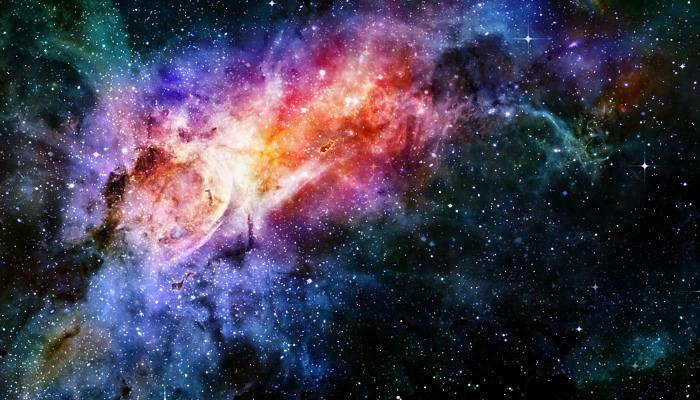 We may have to leave our starry wedding ideas where they belong – in outer space!